Today we offer a letter written by Fort business owner Ann Molloy to the editor of the Gloucester Daily Times, from November 4, 2011. The perspective of time, and events which have transpired since then concerning the re-zoning of the Fort to accommodate the construction of a luxury hotel there, weights this letter with a heartbreaking realism. What makes Gloucester so cool? Why do you love it here? How does it make you feel? What makes it so great? I like that it’s real. It’s authentic. I like that it was built with hard workers, tough working class men and women. We have something special here, something different. Saltwater runs through our veins. Tourists come here and recognize we’re different. There’s magic here. We’re as tough as our granite and as powerful as our ocean waves. Our hands are calloused and our clothes worn. We’re the finest kind… Now I ask- what are we becoming? Do we really want to sell out? Should people with big money from out of town be able to change our look, our feel, our very existence? 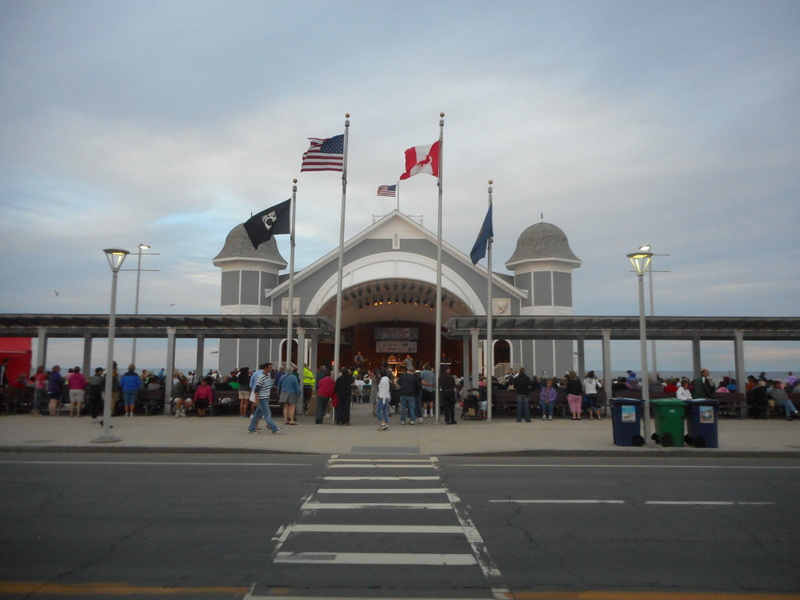 They want to pretty us up, put in a Harbor Walk for the tourists, with kiosks that say, ‘This is where the fishermen “used to” tie up, and “used to” unload their boats.” Words uttered from a Harbor Walk representative at City Hall last summer. Was it a Freudian slip? 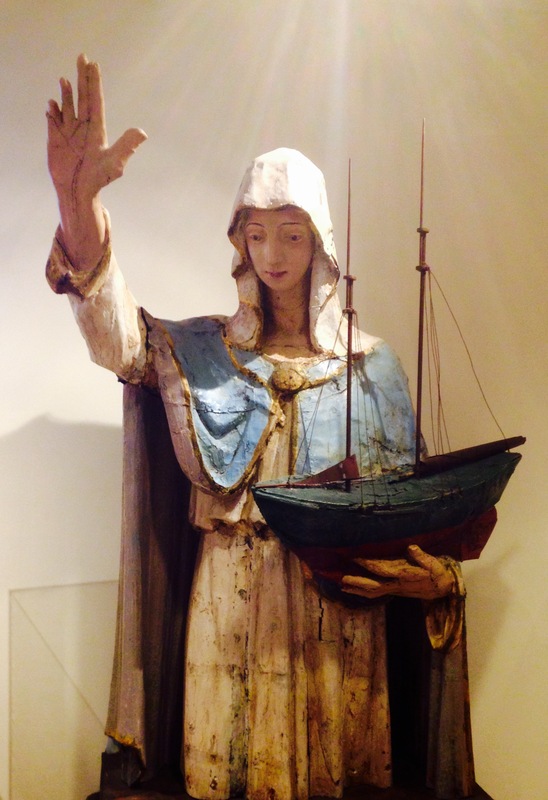 What is the spirit of Gloucester? Is it a grand hotel and marina down the Fort? Is that really what we want? People from out of town move here because they feel the power here and fall in love with Gloucester. What kills me is the people who move here and then try to change it. 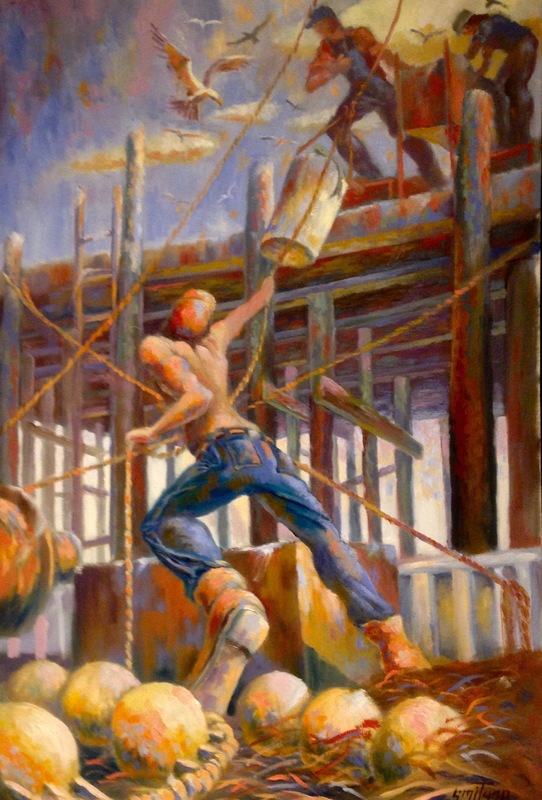 As I think about the days ahead, it aggravates me to know I must take time away from my family and job (a marine industrial job down the Fort) to fight again, for the third time, to save the Fort from rezoning, therefore allowing a hotel. And as the mayor(Carolyn Kirk) was quoted in the paper saying “Third time’s the charm”. It honestly makes me sick, and at this point after about four years of fighting this, it feels like harassment. But now the real big bucks have arrived. 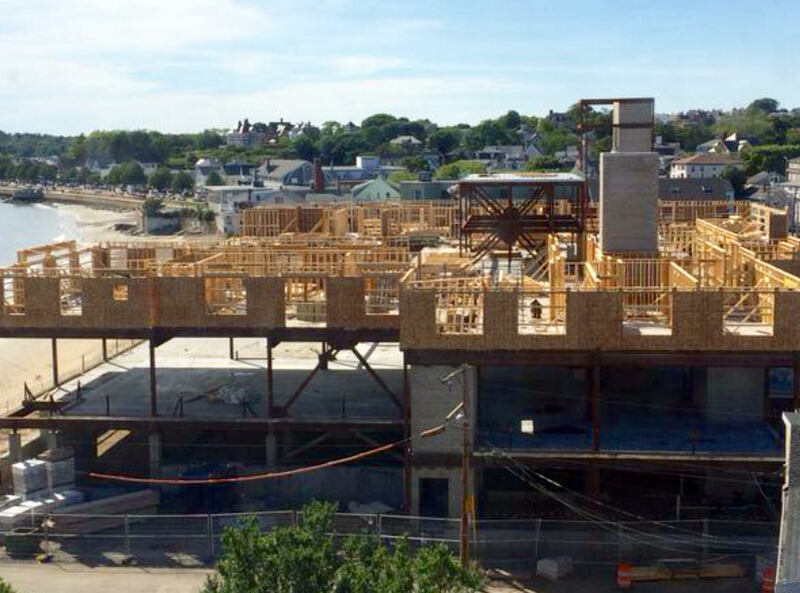 The third richest man in Massachusetts (Jim Davis,) can afford to sway votes and public opinion with his cool million (half million for the naming rights, and half million for construction) for the New Balance Newell Stadium. Dollar signs in one’s eyes blurs vision sometimes. Mr. Davis paying double and triple for property will increase all the Fort people’s taxes, by creating a false sense of property values. How many will be forced out? This is what some people want. Is it what you want? 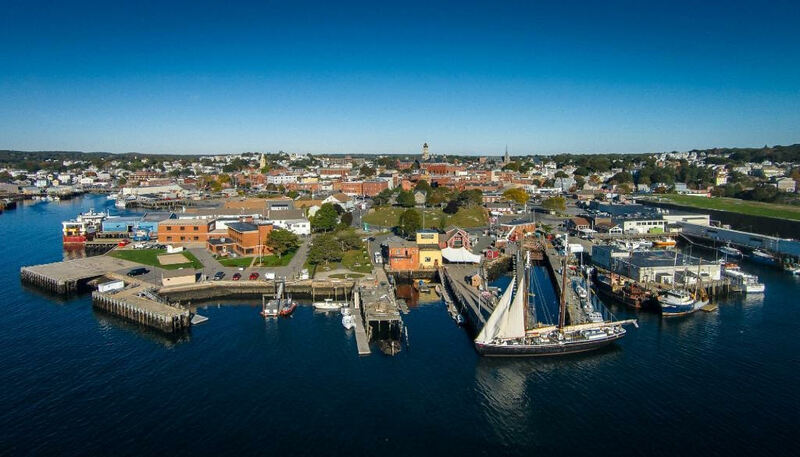 Do you want to look like Newburyport, or Newport, RI? Do you want their traffic? Why would anyone pay so much over value for this property? And talk about putting the cart before the horse, especially after rezoning failed in the last two, very recent, attempts. I sure wish he wanted to make sneakers there. Many will say I’m living in the past. Fishing is never coming back, so I’m dreaming. We’re holding the city hostage. Please look a little deeper, before passing judgment. Look at the thriving MI (marine industrial) businesses that are down the Fort. If this zoning goes through, it will benefit my family financially, if we wanted to sell out, but at what cost? I’d rather leave our future generations with something real, authentic and of substantial value, like my grandfather and father did for us. Showing us, with hard work and ambition, you can accomplish great things. I think that’s worth much more than selling out, and leaving them a trust fund. The Fort is basically an industrial park, a marine- industrial park, and the people who live there deal with that daily. Do we want to put tourists and their kids down there with all the big trucks? Sounds like an accident waiting to happen. Do we really want more traffic? Our way of life as we’ve known it will no longer exist. Tourists won’t even want to come here. So, when you’re sitting in traffic for an hour, trying to get over the bridge, will you think of this letter and say “Wow, what have we done? What have we let our town become?” If you value what we have here, will you stand up with me and help me “Hold the Fort”, before it’s too late? It could be your neighborhood next. Ann Molloy was born and raised in Gloucester. 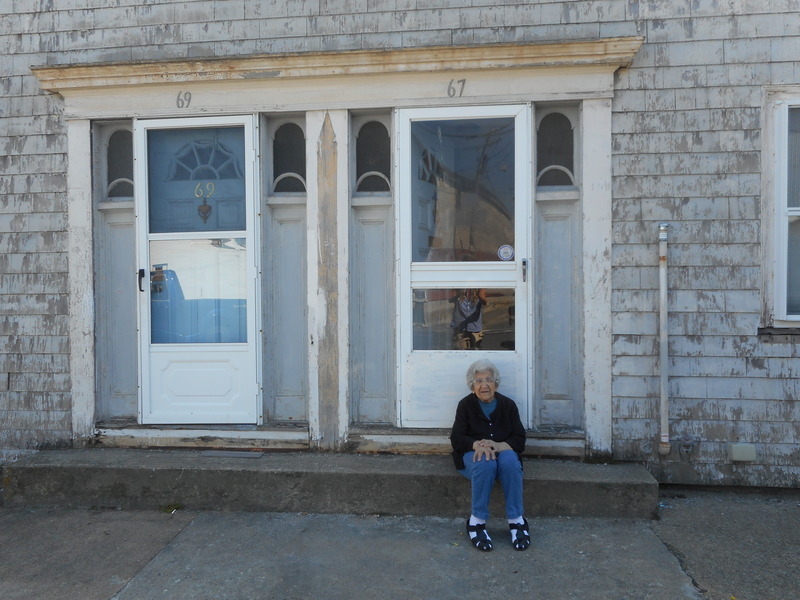 After several years of traveling around the country and world, she settled back here and has been helping run her family business, located down the Fort and on Kondelin Road. For over 20 years, Ann has been in charge of Marketing and Sales for the Neptune’s Harvest division of Ocean Crest Seafoods, which came about as a way to fully utilize 100% of the fish, by turning the gurry (everything that’s left after you fillet a fish) into an organic fertilizer. She has a wide knowledge of organic fertilizers, and the fishing industry. She also loves to paint, write, and see live music. My friend June and I were fortunate to accompany Ann Molloy and her sister Maria Churchill up to Hampton Beach, NH last night, to see them accept Neptune Harvest’s award from the Gulf of Maine Council on the Marine Environment. 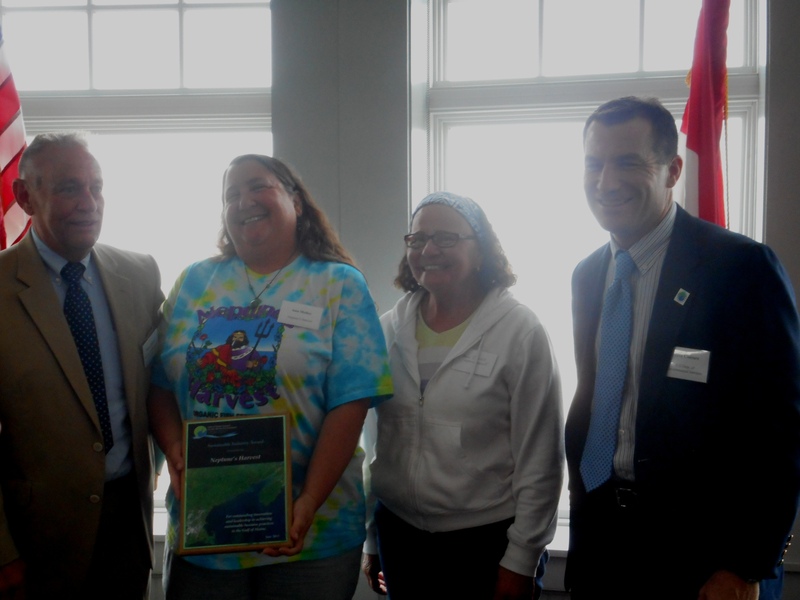 The award was for outstanding innovation and leadership in achieving sustainable practices in the Gulf of Maine. The Gulf of Maine Council on the Marine Environment was established in 1989 by the governments of Nova Scotia, New Brunswick, Maine, New Hampshire and Massachusetts to foster cooperative actions for a healthy Gulf of Maine. Let me say, Neptune’s Harvest is doing just that and then some. 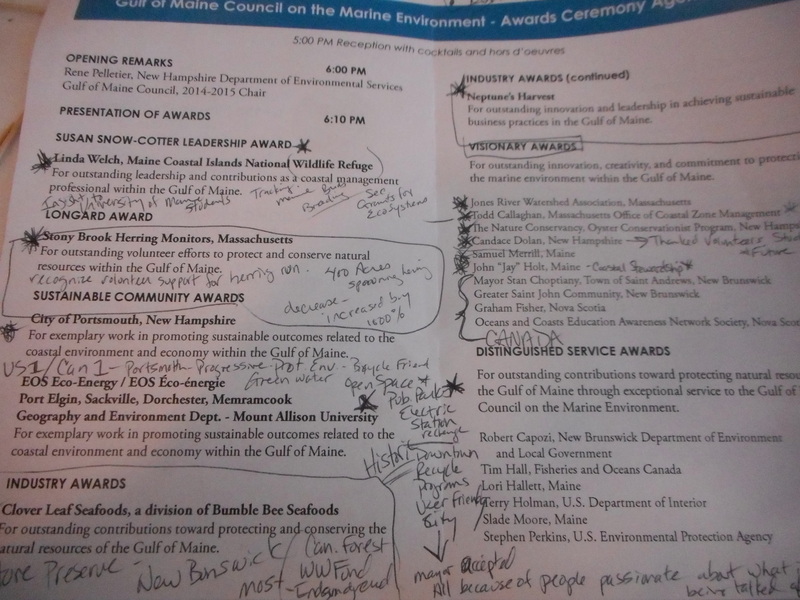 I grabbed an agenda and started jotting some highlights as the presenter of the awards gave a brief description of why each recipient was being given their award, thinking I could write all about it from my notes. Well, I never did take shorthand, and I can barely read my chicken scratches, but what I did bring out of this ceremony was a great sense of pride, for my friends, for Neptune’s Harvest, and for the City of Gloucester. The company that Neptune’s was in last night was exemplary on so many levels. Volunteerism, Protection, Conservation, Recycling, Awareness, Sustainability, Stewardship, Future… I capitalize these words as they are titles with so many efforts and people backing them up and following through on behalf of our Ocean, Watersheds, Wildlife, Forests, and even included, Community Pride. As it turns out, I won’t make a great journalist, but I can tell you I’m terrifically happy there are people out there, not only watching over our environment, but doing things to protect it. 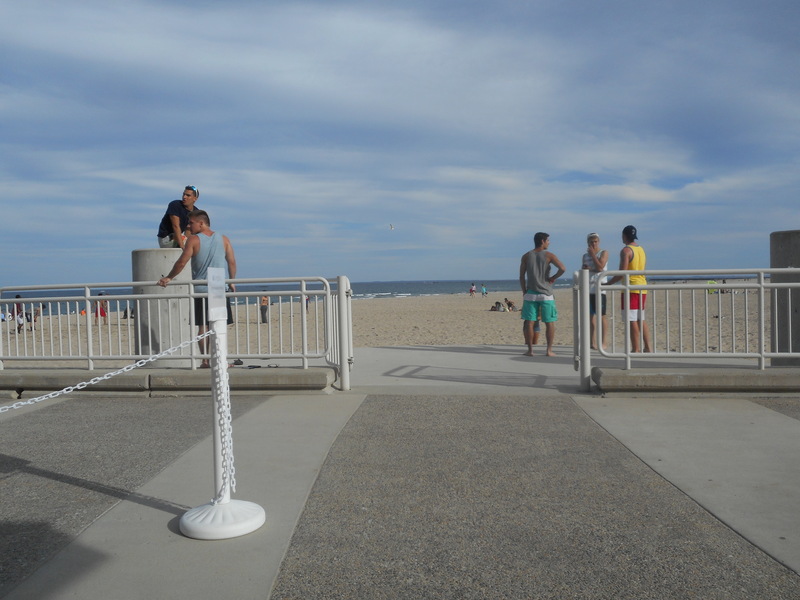 When I went outside and saw young kids on Hampton Beach, I thought, “Do they know what’s going on in that big old ocean behind them? Are they aware how privileged they are to be playing in the surf and sand? Will they be the next generation of Stewards who will do great works like the people upstairs in that conference room?” I certainly hope so. If they don’t, where are the birds going to migrate, fish spawn, plants flourish and children play? Why should Gloucester be proud of Neptune’s Harvest? Since 1986, they have been a leader in the industry and a model to follow. A spin off of their parent company, Ocean Crest Seafoods, a wholesale seafood company established in Gloucester in 1965. 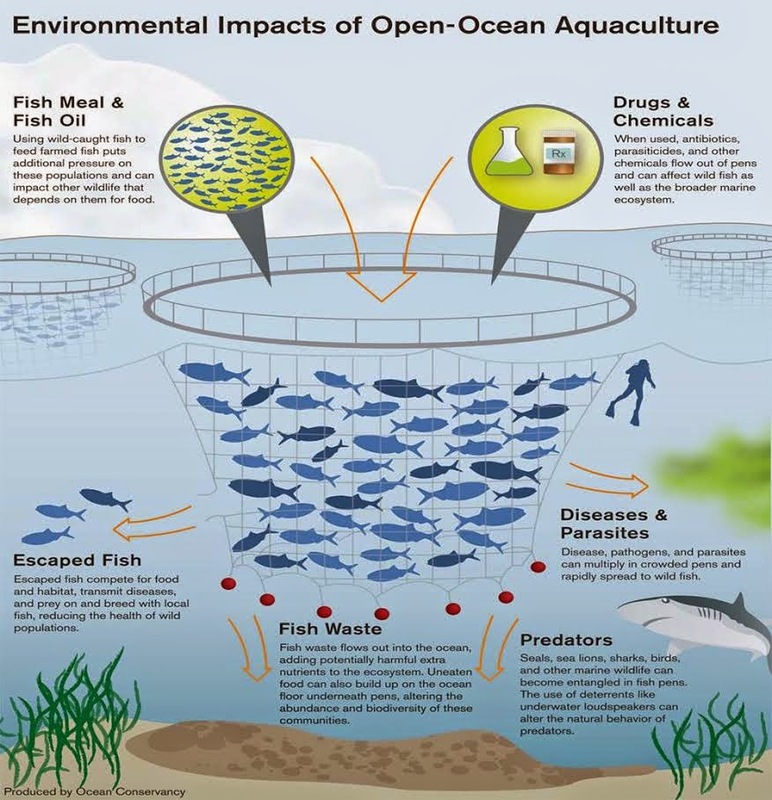 After processing a fish for its edible portion, up to 70% becomes waste. With the state of Massachusetts and local universities they developed a process to turn 100% of that waste into a highly beneficial organic fertilizer. Waste once dumped back into the ocean or into landfills is now improving soil locally and worldwide. Producing stronger healthier plants reduces and eliminates the need for pesticides. Increasing the organic matter in soil allows the soil to retain more water, reducing runoff and in turn, maintains healthier watersheds. Neptune’s sells their products out of Gloucester in one-pint containers and up to 4,500-gallon tanker trucks. The times that we’re in, with folks wanting to be rid of GMOs in their foods, I can only see Neptune’s growing each year. Let’s just hope we can hang onto our fishing industry so the wonderful things that Neptune’s is doing can continue for generations to come. I was truly impressed with each award recipient. As much as I wish I could talk about all of them, I have to stick with our home team as I’m short on time. I was never once bored at this function, as can happen as we all know. I think these people were so passionate about this all- important subject Marine Environment, they made you want to learn more. 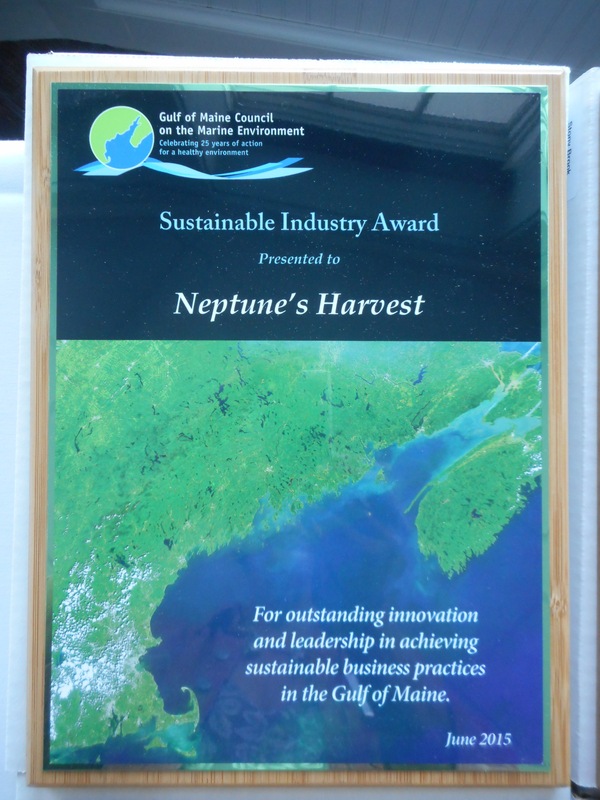 Congratulations Neptune’s Harvest. You absolutely deserve the recognition. Gloucester, Mass. Grounded in Ground Fish. Was there ever a cooler place in all of the world? A home to all who come from sea. Welcoming them with arms wide open, like a loving Grandmother to her kin. Embracing them, and comforting them. Jutting out to the richest fishing grounds in the world. Passionate like no other place. We work hard and we play hard, and we have pride because we’ve earned it. Feeling content, alive, and a little special. Humble to ‘all that is’. Appreciative, thankful, abundance, contentment, happiness, love, glowing, special for sure. Unique, unexplainable power, energy all around. Air, wind, water, light and Fish. Taking all in one trip. What will be left in its wake? It won’t taste good, if it’s fake. Are there enough who truly care? Let’s stand up and bring us back! Band together and do not crack. Nobody can take what we got away. “Farm-raised fish are not healthy fish. They are raised in pens where they can’t swim in the wild, so they become weak and sick. They are routinely fed on genetically-modified soy feed which results in questionable nutritional value of the fish itself, and when they inevitably get sick, they are fed antibiotics.